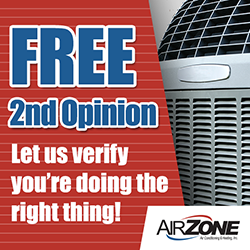 Airzone Air Conditioning & Heating is Tampa Bay’s source for comprehensive air conditioning services and solutions. If you’re searching for new, energy efficient air conditioner or furnace, we offer the most energy efficient models with optional financing on new air conditioning units. Purchase a Trane, Goodman or other HVAC units or furnaces, but make sure that your Brandon HVAC contractor is experienced in high efficiency air conditioning installation . High efficiency air conditioning units must be installed properly so that they will function to their highest capacity. Airzone Air Conditioning and Heating has this experience. We offer free estimates on HVAC units and furnaces for your home or business. 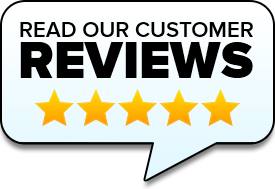 We also provide FREE AC Repair Estimates, FREE 2nd Opinions, Military & Senior Discounts on A/C Repair & Installation Services. Let us help you choose the proper air conditioning system for your Brandon, Valrico or Dover home or business and benefit from reduced energy bills and cool air! For a/c repair services in Brandon, we’ve got your covered. We offer Brandon emergency a/c repair services so you can count on us 24/7 to get your a/c up and running when your air conditioner fails to perform. We also perform a thorough heating check with our maintenance and tune up service. © 2019 Airzone Tampa Bay. All Rights Reserved.